What does it take to become a successful daytrader? 19. July 2017 22. April 2018 Robin Roy Krigslund-Hansen Do you want to learn how to make money daytrading? Unfortunately, the vast majority of daytraders lose their money or give up within the first year. But there is a minority that earns very good money on daytrading. In this article, we will briefly come across what it really takes to become a successful daytrader. The article is not exhaustive; more things are required than these, but here are the most basic things that you should consider. If you like a job with a safe salary, you get a fixed, high hourly salary regardless of your performance. Then, daytrading is probably not for you. To be successful with daytrading, you must be able to handle relatively large fluctuations in your trading account and accept that no matter how good the trade you enter, you will also make mistakes or lose money. Well, there are some setups where you are unlikely to lose money, but in most situations, there is a risk that it may also be the opposite outcome of what you expect and invest after. It takes a strong mind to experience the account swinging up and down. To succeed in daytrading, you will need to invest some time and maybe money to get into market mechanisms, study indicators and trading strategies, watch videos, and continuously analyze your trading results. The latter is a highly underestimated feature of successful daytraders, which many beginners underestimate. There is an incredible amount of knowledge stored in your trading history, which you can analyze with great advantage to objectively assess whether you were just ‘lucky’ or ‘unlucky’ in a particular trade or in terms of skill. We try to provide you with the most knowledge available on DaytraderLand.com in the form of articles, videos, knowledge sharing through our discussion forum, etc., but it is also advisable to take on a targeted course in daytrading to make you even more fit for daytrading. As mentioned above, you will experience big fluctuations in your trading account. It requires courage to go through good and bad times without giving up or making unnecessary changes. There is a tough balance between courage and stupidity, and it is important to establish that we are not talking about closing the eyes and gamble for a result. We are talking about believing in your trading strategy and consistently following it. A typical beginner error is to withdraw early from a profitable trade to take the profit in a situation where there is no indication that the market turns or similar conditions may affect your trade. Another typical beginner error is that after a few losing trades you panic and act contrary to the trading strategy – or even unscrupulous – to try to win back the lost money. It can be difficult to follow the strategy when you have just had 4-5 trades that unfortunately went the wrong way. We are all just human. But what distinguishes the very successful daytraders from the crowd is that they are consistent and show great discipline during frustrating situations. You must get to grips with spending a lot of time sitting and waiting in front of the screen for the right setup for a good trade. Patience is a hard virtue to practice, and you can easily be tempted to gamble on any trading setups, which you are well aware of are not optimal but you are tempted to do so because you lose patience or simply of of boredom. You just can’t do that! Daytrading requires you to be patient and ready to spend a lot of hours in front of the screen to wait for the right opportunities. If you like many other daytrade DAX and DOW, you can easily spend 12 hours a day doing so. There are many opinions about how much capital it takes to get started. As you can read in the articles about Daytraders, several started with approx. DKK 10,000. It is possible to start with as much as 5,000, but it is recommended to start with a little more. 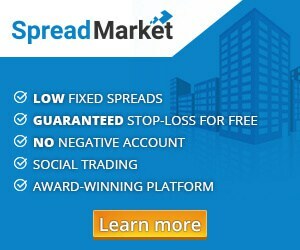 Conversely, we will certainly not recommend you to start trading for hundreds of thousands of dollars at the start. Start small and work your way up gradually. You will need to have the required starting capital to handle fluctuations in your results. Even the best daytrader may risk losing nine trades in a row before making a new equity high at the tenth trade. In a separate article, we will discuss the topic of ‘money management‘ and discuss how much you can risk per trade based on the amount of your trading account. Robin Roy Krigslund-Hansen is a serial entrepreneur interested in pattern recognition, high-speed trading and exchange-traded funds (ETFs), who has been trading for more than 25 years. Robin Roy Krigslund-Hansen is writing about technical analysis, risk management, trading strategies on DaytraderLand. Which daytrading market should I choose?